The E-Mail service is nowadays the internet service most commonly used. The E-Mail trafic is controlled by mail travel agents (MTAs) that collaborate with mail delivery agents,(MDAs) mail user agents (MUAs) and message stores (MSs). The most popular and most publish MTAs are Sendmail, Postfix and Exim. There are a lot of books about single eMail programms and eMail protocols but there is not a comprehensive book that provides an overview. 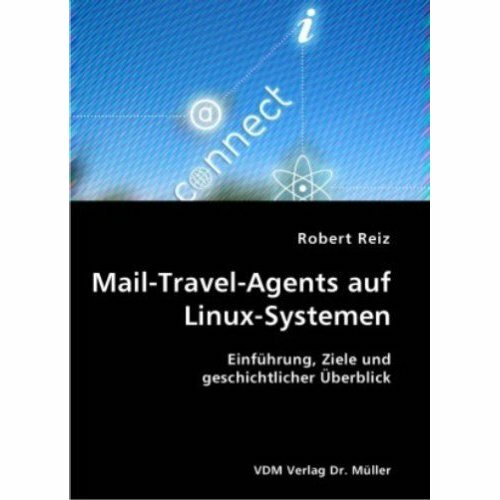 This book provides an overview and a comparison of existing mail travel agents (MTAs) on Linux systems. Furthermore all software components and protocols that are associated with MTAs are being examined. This book adresses all network administrators, Linux/Unix administrators, eMail software developer, students and academics of computer sciences and everybody that wants to know more about the historical development and the technical background of eMail systems.